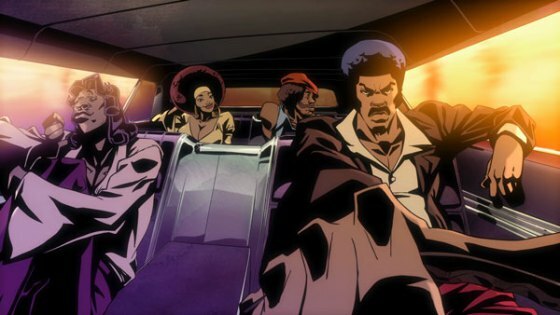 Boomstick Comics Giveaway: Cartoon Network’s ‘Black Dynamite’ Season One’!! We are giving away one box set of ‘Black Dynamite‘ Season One, courtesy of the good folks over at Cartoon Network and Adult Swim. This set is amazing with a gorgeous video presentation and and excellent audio track. The extras are fun, but short. How do you win? Well it’s simple. Step One: Follow us on FaceBook or Twitter. Step Two: Tell us what your FAVORITE Cartoon Network show is and why! And That’s it. Winners will be notified Sunday! Thanks again! Adult Swim’s ‘Black Dynamite’ Series Blu-Ray Announced and Detailed!! Love ‘Fear The Walking Dead’? Pick Up Season 3 on Blu-ray and Digital HD!!! Marvel’s ‘Jessica Jones: Season 1′ and Daredevil: Season 2’ Come To Home Video!!! This entry was posted on Thursday, July 17th, 2014 at 8:26 am	and is filed under News, Television. You can follow any responses to this entry through the RSS 2.0 feed. You can skip to the end and leave a response. Pinging is currently not allowed. « Film Review: ‘Planes 2’!! People don't throw things at me any more. Maybe because I carry a bow around.